Prints, prints, prints! Designers have been fun for Spring 2014 on the London Fashion Week runways. Today we will be looking at the emerging trend, stripes. Thin stripes, thick stripes, horizontal or vertical, stripes are in! Mulberry, Jasper Conrad and Emilia Wickstead are examples of designers that have been playing with this trend. Burberry Prorsum was another stand out show. 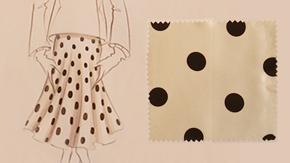 The collection featured pastel pieces along with striped and polka dotted prints, for that extra pop. Visit our STRIPES style board to get inspired. 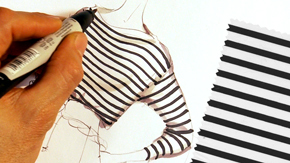 Watch our videos on how to hand render STIPES and DOTS, then get your ideas down on paper!